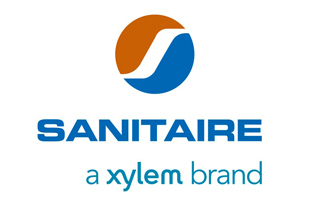 SANITAIRE (a Xylem Brand) – LAI, Ltd.
Fine and Coarse Bubble Diffusers, ICEAS SBR’s, Bioloop Ox Ditch, Drum Filter, OSCAR, Ultra Screen Disk Filter. Real-time wastewater process measurement and control optimizes operations. A diverse portfolio of technologies to suit any aeration need. Ideal for situations with no redundancy or limited maintenance capacity. Energy efficient submersible aeration systems for wastewater treatment. Stand-alone aeration system for reliable and affordable oxygen transfer. Utilizes long solids retention times to remove biodegradable organics. Integrated management system with reliable, real-time monitoring. Integrates process control for the entire plant. Xylem has been collaborating with pulp and paper manufacturers for over two decades, to incorporate the most advanced, energy efficient and easy to operate ozone systems into their processes. Xylem’s Wedeco brand developed the Z-Compact System specifically to address the needs of the pulp and paper industry, combining reliability and energy efficiency with a compact configuration and plug and play systems for quick installation and start up. For wastewater treatment, Sanitaire provides ozone dissolution equipment for suspended biological treatment systems. Leopold’s biofiltration process, combining ozone, breaks down and treats even the most difficult COD. Sanitaire is the world leader in diffused aeration and advanced biological treatment technologies. Beginning in 1967, Sanitaire products have been used to create innovative wastewater treatment solutions for municipal and industrial wastewater treatment applications. Sanitaire equipment and technologies are the industry standard and have been installed in thousands of communities and industries throughout the world. Established in 1967, Xylem’s Sanitaire brand provides biological wastewater treatment solutions for municipal and industrial applications. Sanitaire delivers a comprehensive offering that includes diffused aeration, oxidation ditches, membrane bioreactors (MBR), sequencing batch reactors (SBR), drum filters, and state-of-the-art controls that drive efficient operations. Sanitaire is regarded as a leading brand in diffused aeration, which is a process that introduces air into a liquid, providing an aerobic environment for degradation of organic matter. The broad selection of diffusers available including membrane, ceramic and coarse bubble, has been proven over time with over 22 million units installed worldwide. Xylem’s extensive applications expertise is available to ensure that both the right product is selected and the design is optimized for long-term reliability and low cost of ownership. Sanitaire wide-band aeration systems are used in applications such as grit chambers and sludge that require non-clogging, maintenance-free systems. Combining Sanitaire diffused aeration, Flygt submersible mixing and overall process application, as well as instrumentation and process control in both new and retrofit applications, Xylem’s Sanitaire Bioloop oxidation ditch delivers up to 50% better energy efficiency, while remaining adaptable to a wide range of flow and loading conditions. Xylem’s Sanitaire MBR process combines Sanitaire diffused aeration, Flygt submersible mixing and pumps, WTW and MJK instrumentation, and unique process knowledge with Tier 1 membrane products available in the market. The result of this flexible biological design, and the complete removal of suspended solids from the treated water by ultrafiltration membranes, is superior effluent quality to meet discharge requirements. The Sanitaire ICEAS Advanced SBR is a continuous flow biological treatment system that provides multiple advantages versus conventional activated sludge and other SBRs by bringing together process, aeration, decanting, and control in a single treatment tank. Fully automated, it includes a completely integrated process design consisting of the aeration system, blowers, pumps, mixers, effluent decanters, monitoring and control equipment, and a comprehensive process control system. The Sanitaire OSCAR process performance optimizer provides real-time wastewater process measurement and control to optimize operations. Combining the monitoring capability of the most advanced probes and control systems for aeration and Solids Retention Time (SRT), OSCAR reduces energy consumption while stabilizing the treatment process and maintaining effluent quality.